Today’s Topic: What’s OSU’s Biggest Remaining Question On Defense? On Tuesday we looked at the biggest remaining question for the Buckeyes on offense, so today we are asking the same question of the Ohio State defense. The 15 practices of spring football featured several defensive starters experiencing a lessened workload. This allowed the younger guys to get more reps and answer some of those unanswered questions. If you’re going to look for questions, the one place you probably don’t need to check is the defensive line. With eight defensive ends and eight defensive tackles to choose from, there are enough answers to pass any kind of test. Questions do remain in the secondary, however. Second-year backup cornerbacks Sevyn Banks, Tyreke Johnson, and Cameron Brown all had moments this spring, but is there somebody among them who is ready to step up should something happen to starters Jeff Okudah or Damon Arnette? We also don’t yet know where senior safety Jordan Fuller will line up when he finally suits up in fall camp. But there are enough options on the roster to provide answers to whatever question may arise at safety. There are bigger concerns afoot. 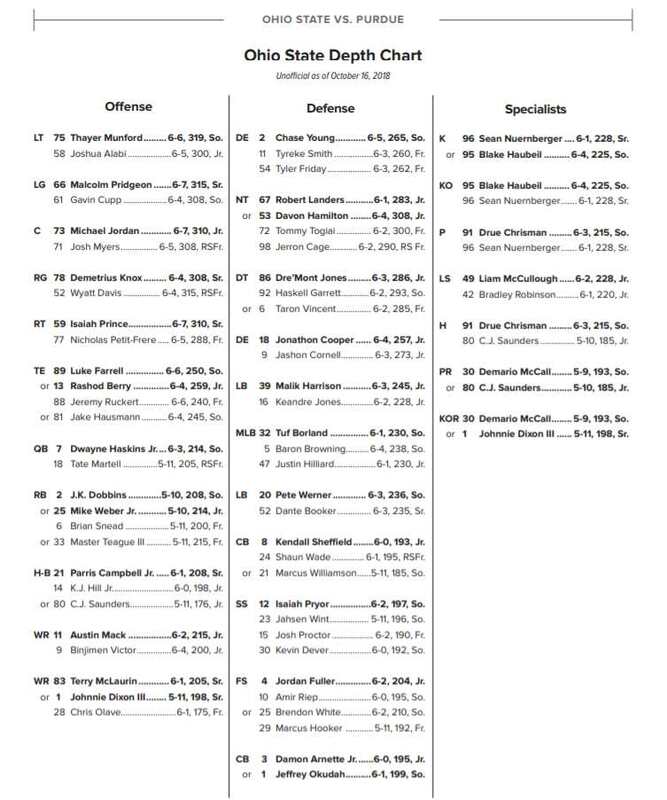 Like last year, and the year before that, the biggest question coming out of spring for the defense is still at linebacker. Improvements should be expected, however. You know how Jahsen Wint looked great at safety in the spring game after struggling last year? New coaching seemed to do him some good. It’s not unreasonable to expect the same thing of the linebackers and their position coach Al Washington. Leaving the Bullet out of it, because I don’t think Brendon White is much of a question mark, the Mike, Sam, and Will all have some curiosity surrounding them. Malik Harrison should be fine at Will, but it’s okay to want more than “fine.” And it’s very likely that you’ll get it. Pete Werner at Sam will be doing some different things, but also splitting time with the Bullet. Of the various linebacker spots, the biggest question is still middle linebacker. Tuf Borland struggled with his Achilles last year and has dealt with a knee injury this spring. Despite the current setback, he should be healthier than he was last year. That can only help. Behind him have been junior Baron Browning and sophomore Teradja Mitchell. Browning possesses every measurable you could want in a linebacker, but hasn’t really shown that he can be THE middle linebacker. Mitchell seems like the kind of guy who could be inserted into a game and have seven tackles in his first three drives. Going from Greg Schiano’s defense and Bill Davis’ coaching, I don’t know what the ceiling is on the kind of jump these players can make under new management. I do, however, suspect that it is quite sizable. This may end up being the most entertaining position battle to watch in the fall — not that any of us will actually be able to watch it. My biggest question is what will the new D look like? I’m ok with all of the talent that’s on the team – but how will the D “scheme” play out? My gut tells me that its going to keep everything underneath to prevent the big play, which means there will be a lot of pressure on the linebackers and safeties. It also could mean that the D-line will have a great season. Maybe Chase Young (if he stays healthy) will get some All-American mention. The biggest issue revolves around those who left; Combs and Fickell and those influenced, the back 7, the talent has been and is there, but have lacked the coaching on basic fundamentals, believe that will change. A few short years ago fans and some players were all over guys like Baker Mayfield for calling the Buckeyes defense “basic.” That basic defense made a mess out of Oklahoma’s offense. That’s what the doctor wants to see from this defensive coaching staff. Relentless pursuit up front, suffocating secondary and no nonsense basic gap filling bone jarring thunder from the linebackers. 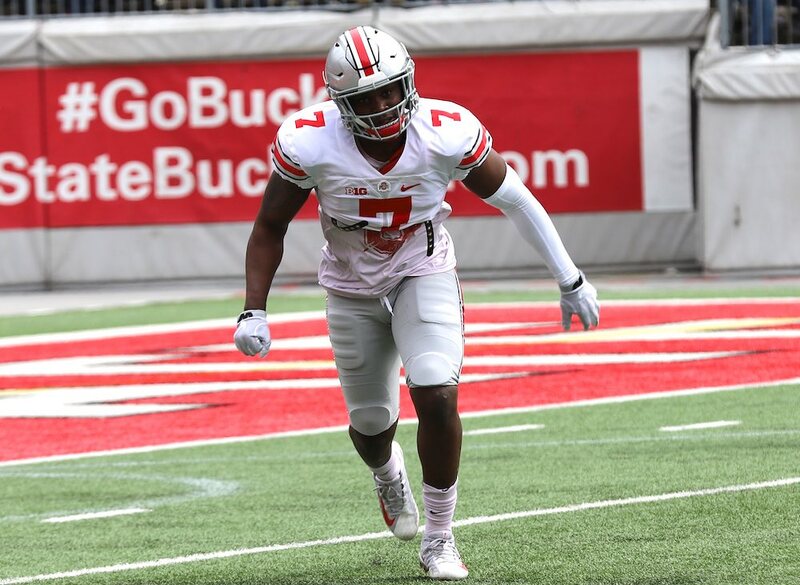 If you’re efficient at basic fundamentals your defense is going to be pretty darned good with the level of talent the Buckeyes are putting on the field. Efficient fundamental execution performed consistently will trump exotic nonsense 100 times out of 100. I suspect we’ll see pretty good development on opening day and for that defense to really come together as a very good defense by game 4, and championship caliber by the back 3rd of the season. It’s all up to the linebacking unit. If they click at the very least the Big 10 will be the Buckeyes, and probably a playoff bound team. I’m exited for the fall to hurry up and arrive.